Apple's 10.5-inch new iPad Pro arrives! As a gadget closest to laptop-tablet hybrid from Apple, which comes with a keyboard and pencil, will inevitably be compared with Microsoft Surface Pro 4, its main large-screened rival. 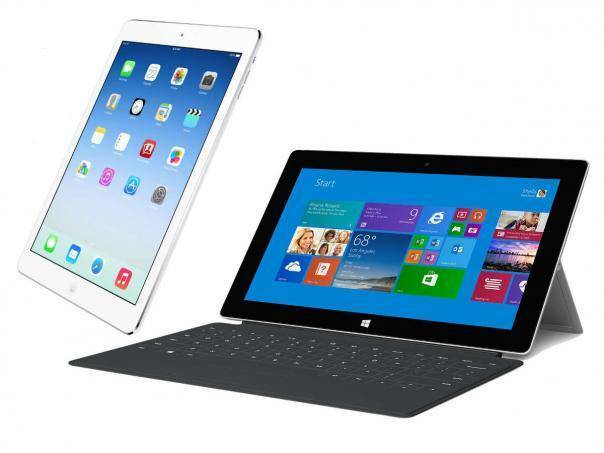 One may wonder which tablet will win the fight of Surface Pro 4 vs iPad Pro while both have similar features. The two devices are similar in certain ways, for example, both Surface Pro 4 and iPad Pro have close configuration, but they generally excel each other at different things. After we have check the advantages and disadvantages of iPad Pro, it's time to have a look at all the differences between iPad Pro and Surface Pro 4. Related article you may be interested in: 2018 new iPad vs iPad Pro. MacX Video Converter Pro - 100% clean video movie downloader to free download 4K UHD/HD/SD videos/movies/music from YouTube, Dailymotion, Facebook, Myspace, Vimeo and 300 more video music sites for iPad Pro and Surface Pro 4 and more in superfast speed without quality loss. Microsoft and Apple are two major rivals, the similar design will no doubt lead to a comparison between Apple iPad Pro and Microsoft Surface Pro 4. Which is better, Surface Pro 4 or iPad Pro? Below we have made a detailed comparison on these top tablets of 2017 - iOS 11 iPad Pro vs Surface Pro 4 in the specs and features. As the 4th slate-like device from Microsoft, Surface Pro 4 bumps up its design based on the the criticisms of its predecessors and also adds some new features to build a better device. Being the slimmest and lightest Surface tablet yet, Surface Pro 4 is 8.45 mm thin and 786 grams in weight, but that number does not include the keyboard, with which the weight goes up to 1.1kg. The bright and silver-colored shell gives a premium experience in every regard. Compare Surface Pro 4 and iPad Pro, iPad Pro is much thinner at 6.9mm thin and 1.57 pounds, which is almost the same as the iPhone 6 (Plus). Like Surface Pro, the new iPad Pro is equipped with a keyboard and a pencil to make it more productive. So this round of Surface Pro 4 vs iPad Pro battle shows a slight iPad edge. Surface Pro always wins the contest of Surface Pro vs iPad in delivering larger-display viewing experience, however, this may not be the case for Surface Pro 4 and iPad Pro. The touchescreen of Surface Pro 4 is enlarged from a tiny 12 inches to 12.3 inches. The ClearType full-HD Plus multitouch display with a native resolution of 2736 x 1824 results in a modest boost in pixels to 267ppi. Another upgrade is the aspect ratio. Surface Pro 4 opts for a 3:2 aspect ratio rather than sticking with the previous 16:9. Compare Surface Pro 4 and iPad Pro, the latter has two models for you to choose: 10.5 inches and 12.9 inches, with a resolution of 4K 2732 x 2048 and 5.6 million pixels comes with iPad Pro. Apparently, iPad Pro once again win out the game of Microsoft Surface Pro 4 vs Apple iPad Pro, either in the display size, or how sharp and bright the display can be. Surface Pro 4 is available in three models, each comes a fourth-generation Intel Core processor, either m3, i5, or i7, pairing with 4GB, 8GB and even 16GB RAM offered for you to choose, and storage options not only covers 128GB, 256GB to 512GB, but also adds the whopping 1TB into the big family. Therefore the performance of Surface Pro 4 largely depends on the model you buy. But suffice to say that even the lowest-end Surface Pro 4 will lead the charge. As for iPad Pro, Apple's next A10 chip makes an appearance in this new iPad Pro. Surely this processor will be another stunner, coming with more upgrades. Surface Pro 4 or iPad Pro, consider seriously as it's hard to tell which is better in this regard. When it is released, Surface Pro shipped with Windows 10 Pro operating system. The new iPhone Pro comes with its most intuitive, advanced, and secure mobile operating system iOS 9. Which is better in this regard of Surface Pro 4 vs iPad Pro fight? This will depend on the winner of Windows 10 or iOS 11. The Surface Pro 4 sports with a 5.0 MP front-facing HD camera and 8.0 MP rear-facing autofocus camera, with 1080p HD video recording. This is hardly a high-end camera, but it works fine for Skype calling. iPad Pro comes with an iSight camera with at least the same pixels as that of iPad Air 2, which is 8MP on the back and 1.2 MP at the front should be found. On this front, iPad Pro can easily win the iPad Pro vs Surface Pro 4 fight with its main 8MP camera. The previous Surface Pro's battery is horrible and Microsoft promised improvement with the Surface Pro 4. The Surface Pro 4 boasts its battery life to nine hours of video playback or web browsing use. 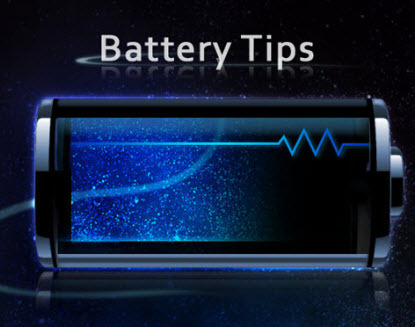 Indicated by users that, it still works fine after hours of downloading and video playing. For a ultraportable workstations that works without mains for a significant period of time, this is really great performance. Compare Surface Pro 4 and iPad Pro, a 11,000mAh battery way up from the 7240mAh cell inside the iPad Air 2 may come with iPad Pro. Conclusion: So which is better in the competition of iPad Pro vs Surface Pro 4? As for Surface Pro 4, it's a powerful ultraportable tablet-PC hybrid which is well-suited for business needs. Fully supported by external peripherals, the hardware of Surface Pro 4 is near perfect, allowing users to do everything that can be done on a computer. While on the other hand the PC-like components will bring some heat and noise. And the all-rounder iPad Pro, will without doubt surprise the users with advanced software and powerful features, as iPads always do. However, compare Surface Pro 4 and iPad Pro, the latter is more entertainment-oriented. Both being larger display, users will surely want to play videos on Surface Pro 4 or iPad Pro. Below we also give a simple guide on how to make videos and even DVD compatible with both devices. While it's really good to enjoy videos on both devices, you will sometimes have trouble playing certain files. This is due to format incompatibility. In other words, to ensure smooth playback of particular video formats, you are suggested to convert the video into Surface Pro 4 or iPad Pro first. 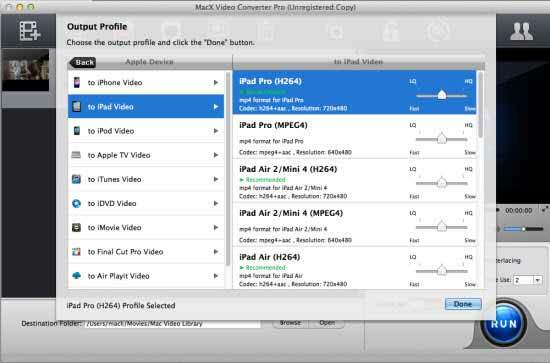 Here MacX Video Converter Pro is highly recommended as it can convert HD MKV, AVCHD, MTS, WMV, AVI, FLV and other videos to iPad Pro/iPad Air/iPad mini, Surface Pro 4 etc with extremely high quality. It will be amazing to play DVD movies on the stunning large and sharp displays of iPad Pro or Surface Pro 4. However, the lack of hard drive will end your attempt. To fix this situation, you will need a DVD ripping software to rip DVD to iPad or Surface Pro. Here MacX DVD Ripper Pro is specially designed for that purpose. 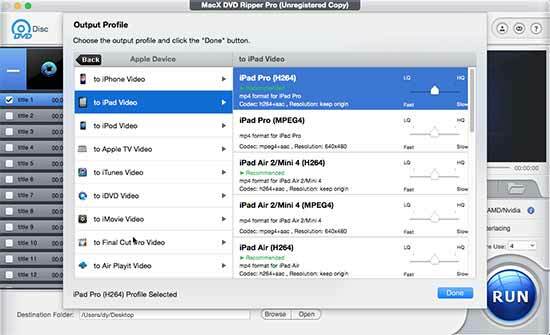 This DVD ripper for iPad Pro and Surface Pro 4 can decrypt and rip DVD to Surface Pro or iPad supported formats easily, including those protected with whatever copy protections. What are 2017 iPad Pro supported video formats? Read the article and you'll figure out video formats for iOS 11 iPad Pro, and learn how to convert music video movie to iPad Pro friendly video formats in a click.